Don't be afraid to wear pink this summer! 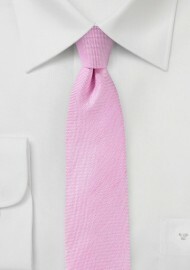 In fact, pink is one of the hottest summer tie colors right now. Show that you are a confident man who understands a thing or two about style trends the moment you show up wearing this skinny cut linen tie by neckwear designer PUCCINI. 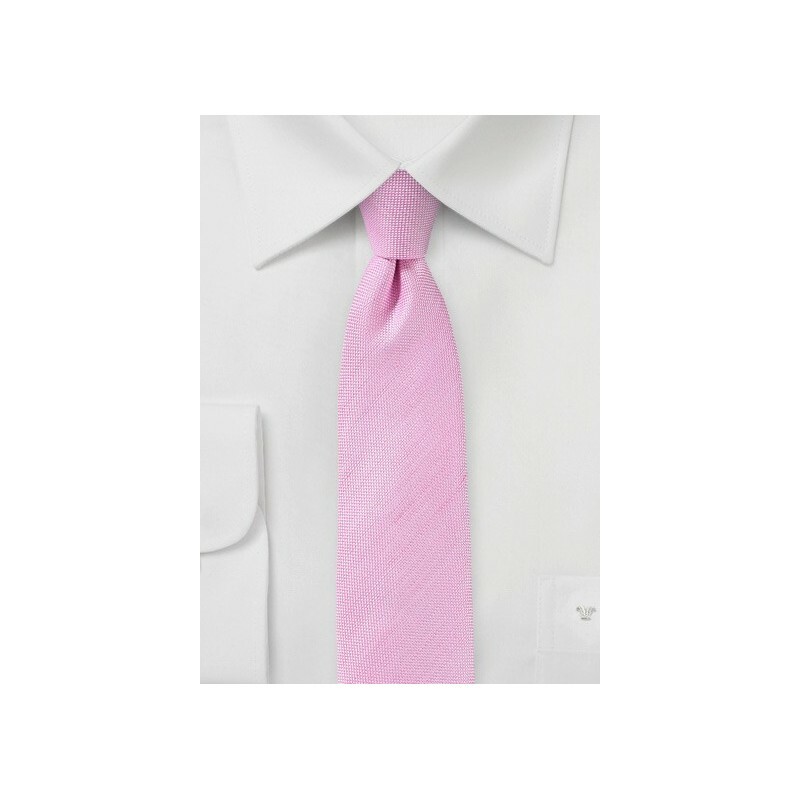 Not sure pink is the right tie color for you? Then we carry this solid linen tie collection also in nectarine orange, canary yellow, and faded denim blue. Fabric: 60% Silk, 40% Linen | Length: 58", Width: 2.75"